Have you ever had that feeling that whilst engaged in something, be it work or play, it feels like time has stopped? I’ve been told those are treasured moments as they indicate a true passion discovered... something that’s a part of who we truly are ... and not the exploration of someone else’s dream. I discovered such a passion over 10 years ago… and like maybe the new car you bought….or new sport you’re involved in…. you only then start noticing things around you related to your new found joy. So- my time stopping moment is when I discovered and started playing djembe drums. 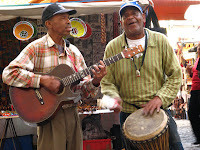 Now - with over ten years of enjoying this passion- I often still notice many related aspects to djembe drumming. Be it a new master in town or just the various ways in which others too enjoy this activity. 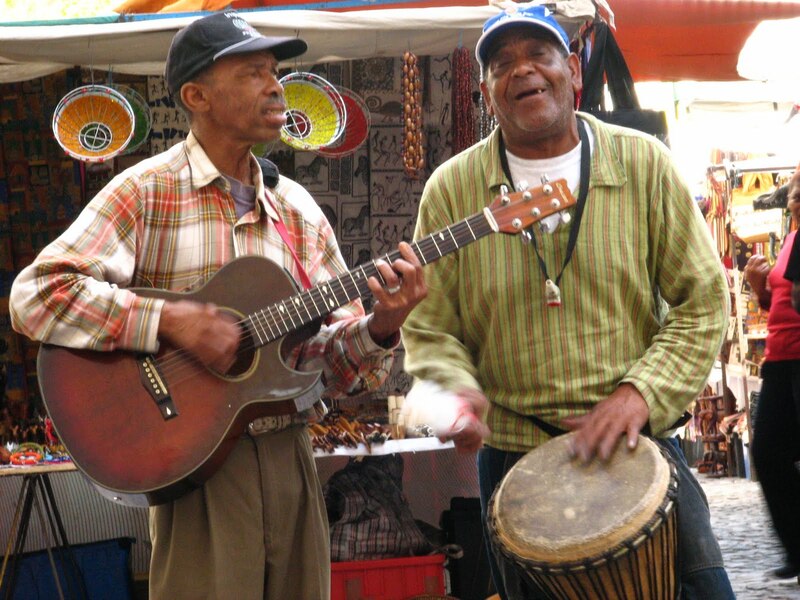 Ever since I’ve started playing, I’ve noticed and love listening to Joe, Cape Town’s djembe busking legend, often found around St George’s Mall, Green Market Square or the Antique Market. Whenever I spot him, I stop in my tracks just to enjoy, witness and share in Joe’s time-spotting moment. Evident in his relentless exploration of his passion- during all this time, I’ve only ever spotted Joe playing around some café or walking around with what seems a natural extension of him… his djembe drum. These days, Joe can be seen with his guitar-clad friend as seen in the pic. I think that exploring and unlocking our passions are important. When you do what you love doing, you find a special part of yourself and by sweeping you away, it’s as if nothing has the power to stop you. Also- when things are not going so great, it’s helpful to focus on those things you love. So, like Joe, when you find a little passion of your own, keep it burning. For in your passion you find the drive to pursue your very own dreams. :) I can just see you doing your thing, well written engel!